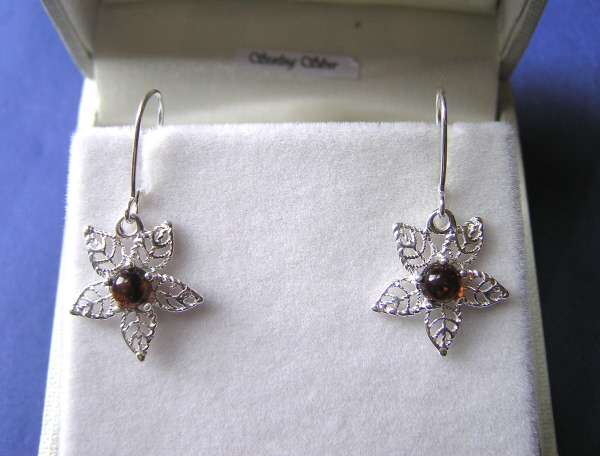 A stunning solid silver earrings set with polished pieces of genuine Baltic amber. A lovely piece of Jewellery. The earring fittings each measure 1.5cm from top to bottom ( Plus the sterling silver drop fitting) and are hallmarked .925 solid sterling silver. Comes boxed in a stunning padded, velvet lined gift box - and even gift wrapped in blue tissue paper. They would make a SUPERB gift!